It’s time for Wizarding World Wednesday again! 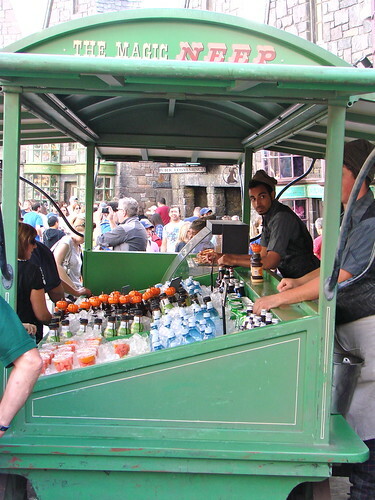 Where in the Wizarding World of Harry Potter can you find the cart in the below photo? It features pumpkin juice and some of the other popular Wizarding World drinks. Reply below in the Comments section with your answer!